Motorsport is really starting to grow on me, especially as we have been lucky enough to have a go at a few recently through UK Active Outdoors. 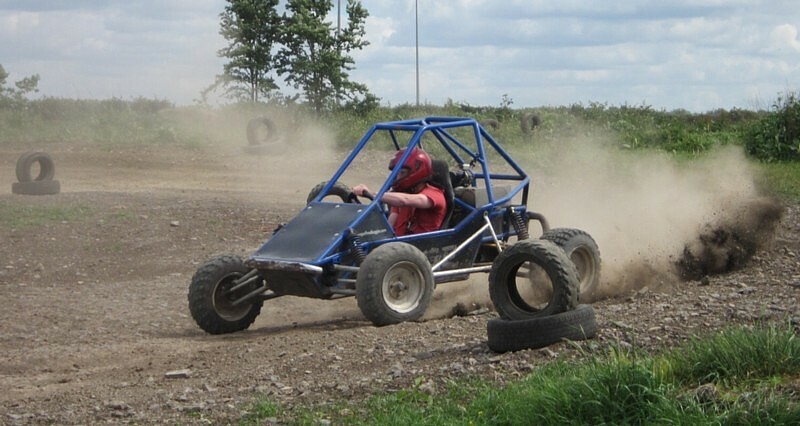 Rage buggies has long been on the hit list of things to try as we had heard about how much fun they are. 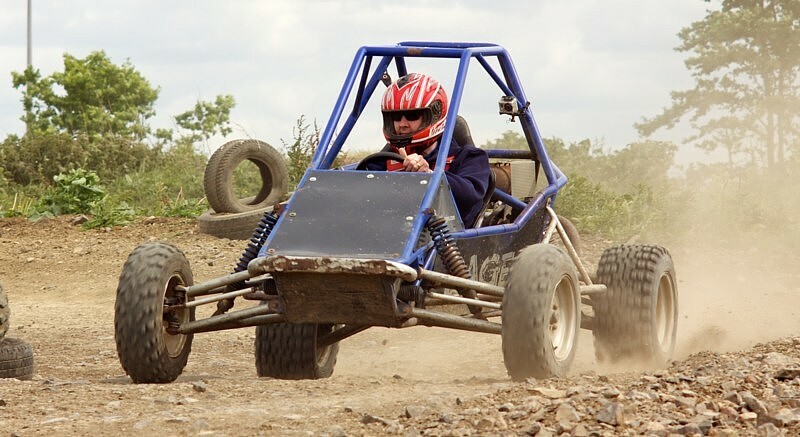 The opportunity to have a go in a 600cc Honda V-twin Rage Buggy came up as part of a friends 40th birthday celebration and I jumped at the chance! Turning up at the centre I was actually quite nervous but also pumped and ready to have a go, especially as we walked up to the track with the roaring sound of a previous group tearing around it. We were given the briefing about the rules on racing them as well as information on the rage buggies and equipment we would be wearing. This always gets everyone laughing but also installs a little more confidence about driving them at speed. Rage buggies are bigger than I first thought and a lot quicker! After watching two of our group flying around the track, clipping the odd tyre on the way, it was my turn to jump in and strap up. 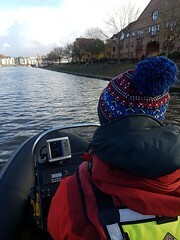 I did feel very secure and safe once in and as soon as the switch was turned on my mind focused on one thing, catching Simon Wyndham in the buggy in front! He was also focused on the same thing as we were split by half a track! I pulled away and was instantly tearing down the track towards the first corner. 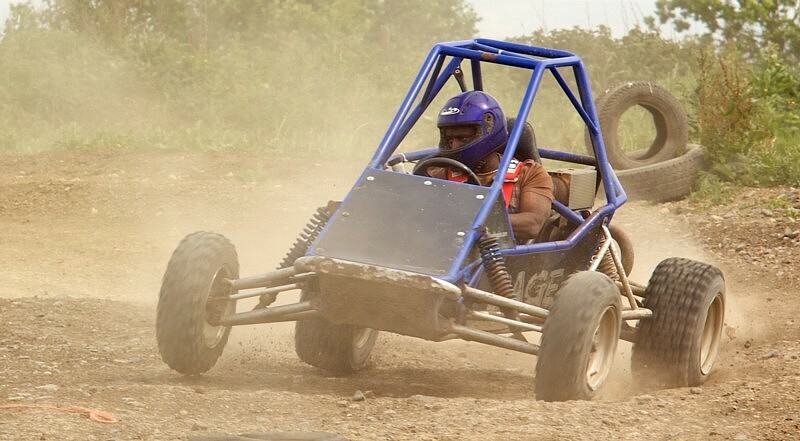 The track was a dirt track with sweeping and hairpin bends, pot holes and the odd rocky section and I soon found myself bouncing about and hanging on tight to the steering wheel. Sounds easy but when you are concentrating on the next corner and trying to remember to use the brake every now and then, holding on to a violently bouncing steering wheel becomes a challenge! It’s amazing how you soon start to memorise the track and after a few wide corners and clipping a few cones, I soon found myself taking corners well and catching Simon at one point. Although it was hard to tell as the dust was flying about and your vision unclear from the bouncing and concentrating on bends. When the signal finally came to come in for the next two guys to have a go I was gutted as I was loving it, but also grateful as my arms were dead as I fell out of the buggy. The vibration had ruined me! Fortunately for my male ego, everyone else was suffering from the same, but also absolutely buzzing and laughing like a bunch of school kids! 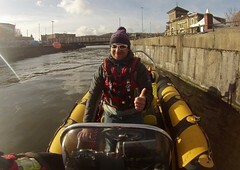 it was great and this came from the power and exhilaration mixed in with a great group who were up for a laugh. The ideal mix! I can’t wait to have a go at them again and I’m now looking for a bigger track with a jump!